Andrew Bell and Ashley Chegwyn report. Colin Whitchurch, a candidate contesting the position of Undergraduate Fellow at the ongoing Senate election, has been caught standing over students after instructing them to vote for him in the electronic ballot in Fisher Library over the weekend. Whitchurch was joined by previous postgraduate senate fellow James Flynn, former Liberal party member and former adviser to Minister for Industry and Resources Anthony Roberts, as they approached studying students on Sunday afternoon. The pair were moving through the library with a laptop, pressuring students to vote. Honi, in-person and immediately following the incident, requested Whitchurch and Flynn comment. They declined. Honi has heard campaigners for Whitchurch’s fellow candidate Francis Tamer are employing similar tactics. Several students have claimed Tamer’s campaigners have been approaching students in the library, particularly international students, and handing them a laptop with the voting site preloaded before watching them vote. A campaigner claimed the behaviour had been sanctioned by the Returning Officer. 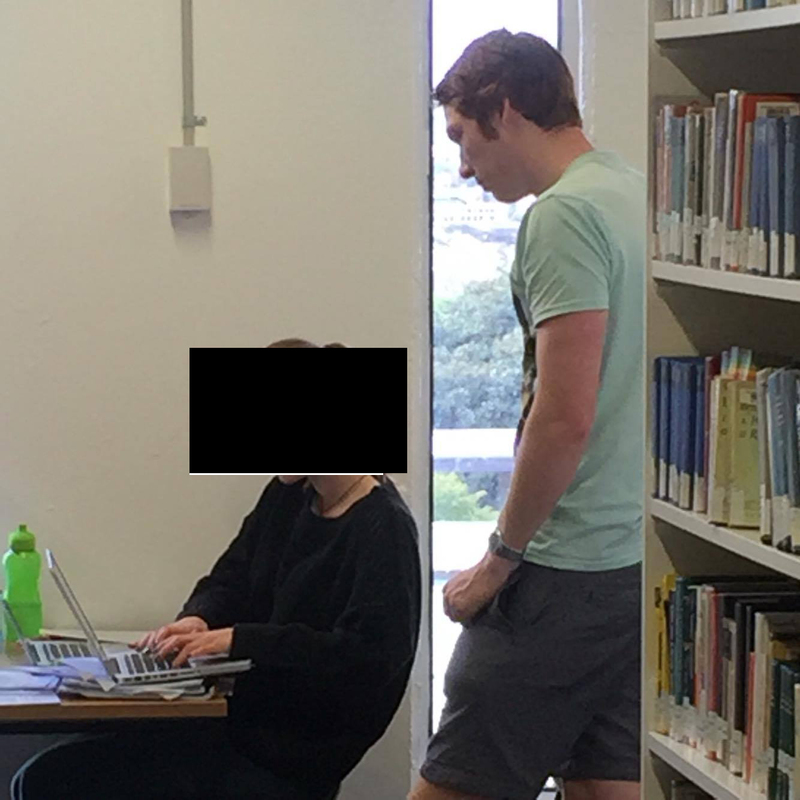 “A boy and a girl were going around with a MacBook Air in Fisher, on Level 7,” one student told Honi. “They asked for 10 seconds of our time and if we knew anything about the Senate elections… They asked me to vote for Francis and I noticed that they were pushing his policies for international students. Another source reported a similar interaction. According to the University of Sydney By-Law 1999 Section 34, a Senate election must be conducted in secret ballot. As such, Whitchurch and Flynn’s apparent conduct seems to place them in violation of the by-laws. At least two students have submitted formal complaints to the Returning Officer, David Pacey. Pacey told Honi, “I have instructed the Electoral Officer to issue a reminder to all candidates of the Guidelines for these elections and I will be speaking directly with the candidates so identified. Honi reached out to Tamer, but, as of the time of publication, he had not replied. Voting for the positions of Undergraduate and Postgraduate Fellow of the Sydney University Senate opened on September 2, and runs until September 22. The ballot is wholly conducted electronically. Tamer and Whitchurch are the only candidates who did not respond to Honi’s invitations to be interviewed for this week’s candidate profiles, which will hit stands with the Week 8 edition on Tuesday. Correction: This article previously indicated that James Flynn is a current Liberal party adviser and party member. He is a former Liberal party member and adviser. Update: This piece now includes comment from David Pacey, Senate Returning Officer.